For all of us invested in Kylie Jenner and Travis Scott's relationship, we can all breathe a sigh of relief. Kylie and Travis were everyone's relationship goals for nearly two years, but reports came out last month that the two were at major odds after Kylie allegedly accused the "Sicko Mode" rapper of cheating just a few days after her then-best friend, Jordyn Woods, was involved in a cheating scandal with Tristan Thompson. 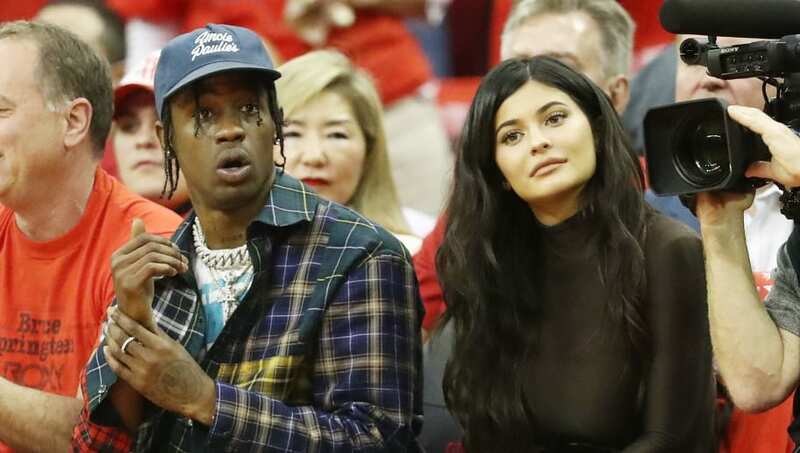 Travis and his reps repudiated the TMZ report, saying in a statement, "Travis Scott vehemently denies he cheated on Kylie. It is not true. He did not cheat." However, TMZ has stood by the claim, and recently reported the couple's relationship is now strained, as it apparently "isn't even close to what it used to be," especially with Travis on tour, which makes him rarely able to see the makeup mogul in person. But now, there's some good news after a month of speculation and rumors. The two stars were spotted Thursday night grabbing dinner with their daughter, Stormi. This was the first time the power couple have been seen since the reports of cheating. There has yet to be any confirmation of this alleged cheating scandal, contrary to Khloé Kardashian and Tristan, so we really don't know what's going on between Kylie and Travis. But, the two going out last night is definitely a good sign if the duo are trying to repair their relationship. However, they did have a great chance to tell the paparazzi that the rumors aren't true, but instead remained silent.